Insert arrangements for all MIL-DTL-5015 Series III are the same. The insert arrangements are made by combining the shell size (first two numbers) with the insert arrangement number (last two numbers). 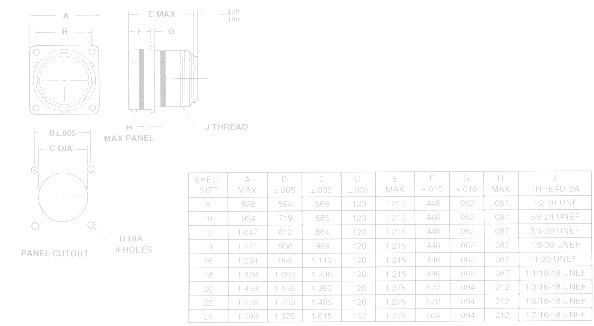 For example, a MS3454L14-3P is a shell size 14 with a 3 insert for a 14-3 insert arrangement. Insert arrangements are shown in numerical order by shell size and number of contacts in each shell size. Copyright © 2008 Allen Electric Connector Sales, Inc.All Rights Reserved.